Brown University’s Breakthrough Lab (B-Lab) is an intensive 8-week accelerator program designed to support student entrepreneurs developing high-impact ventures. Each participating venture receives access to custom mentoring, a peer cohort of dedicated founders, and co-working space. For ventures that require it, B-Lab will also provide access to lab facilities and relevant technical support. B-Lab brings together critical resources throughout its 8-week program, designed to help founders strengthen, develop, and advance their ventures. Best of all, the program is tailored to the unique needs of each team. Participants will have access to dedicated space, funding, and a roster of experienced mentors and entrepreneurs. The goal? To help them build the next great thing. Each B-Lab participant receives a $4000 stipend to enable their summer venture work. We will provide a Summer Earnings Waiver (SEW) to students who need to meet the Standard Contribution (SC) from the Summer Earnings Expectation. 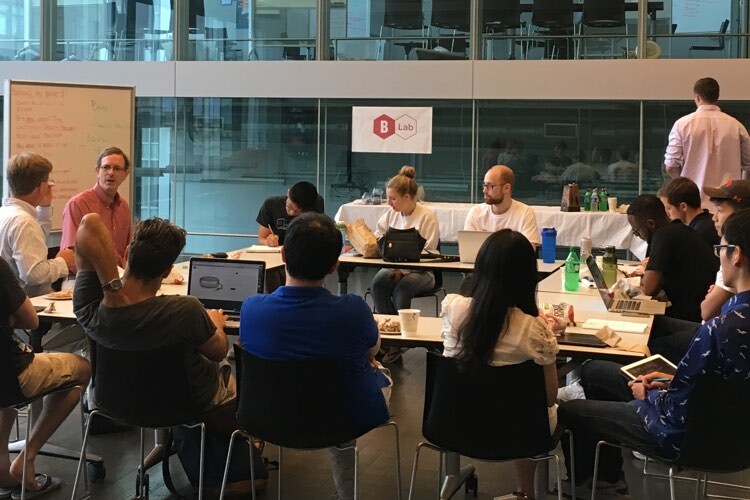 If you are interested in mentoring a B-Lab venture from June – July or interested in opportunities to critique venture pitches during the mentor roundtable and Bear’s Lair in July, complete this form. B-Lab prospective applicants can apply to receive an application mentor(s). Fill out this form on or before Friday, December 28, 2018. B-Lab applicants can submit their materials via UFunds, with one team member acting as the point person. You can access the application questions and content here. Applications are due by February 7 at 11:59 PM. Late applications will not be considered. We recommend completing your application 2 hours before the deadline, if not sooner, to allow time to deal with potential technical difficulties. The B-Lab Selection Committee will review all applications and then select a group of finalists, who will receive notification on February 22, 2019 regarding the next steps. Finalists will interview with a subset of the selection committee to determine their fit for the 2019 B-Lab cohort. The next B-Lab cohort will receive an email from the selection committee regarding their acceptance into the program. What are you looking for most in applicants? Above all, we value passion for the problem that they’re trying to solve and the willingness to work hard to find a solution. The ability to deal with unclear answers is also a major plus, as well as a certain amount of resilience in order to cope with the inevitable pivots, dead-ends, and doubts that are an unavoidable part of the entrepreneurial process. Other than that, we believe that great entrepreneurs come in all different forms and from all different backgrounds. How can I get help with writing my B-Lab application? If you are interested in applying and would like to receive mentorship from an alumna or local entrepreneur, please fill out this form by December 28, 2018, so we can match you with a potential application mentor. Do I have to be a commercial venture to apply? Of course not! B-Lab is meant to foster “high-impact” ventures and that impact can be commercial, social, or, in many cases, some blend of the two. What matters most is that it is attempting to address a significant problem and that it has a working hypothesis, and perhaps even some initial findings, about how this might be achieved. Can I apply as a solo founder? While we don’t have a strict rule against it, we strongly prefer applicants who apply as a team, and ideally ones whose members have worked together prior to B-Lab. Entrepreneurship is a tough undertaking and we have found that it almost always takes a team of people to pull off building a successful venture. As such we tend to place a heavy emphasis on the quality of the venture as a whole in addition to the skills and qualities each individual member brings to the table. The ability to work well together is probably one of the highest predictors of success. Hence the old adage: an ‘A’ team with a ‘B’ idea is better than a ‘B’ team with an ‘A’ idea. Looking to build or join a team? We have created this google spreadsheet to help entrepreneurs find each other, meet, and build their networks. There are two tabs. Fill out the one the best describes what you are looking for. How does B-Lab compare to other incubator and accelerator programs? In many ways, B-Lab is a natural extension of Brown’s creative, problem-solving DNA. Our goal is two-fold: (1) to develop world class entrepreneurs, and (2) to develop high quality ventures that can effect scalable solutions to serious problems. Since we are situated within the University, we take a supportive and rigorous approach to both. As for other programs, we see B-Lab as a springboard for ventures to go on to larger, national accelerator programs, and indeed many B-Lab ventures do. Can I apply to B-Lab and the Brown Venture Prize? Yes you can! In fact, the applications are similar, though the main difference is that the Brown Venture Prize is designed to empower the most advanced entrepreneurial ventures by Brown students. It supports teams who have identified a significant opportunity, and whose ventures have the potential to create “impact at scale”. The prize is agnostic with respect to what sectors or industries ventures are working in, or even whether they are commercial, social, or have blended approaches. The essential thing is that teams have identified an opportunity or challenge and are thinking big about how to solve it. The Brown Venture Prize is intended to help them accelerate and scale those solutions. Winners will receive prize money, critical mentorship, and access to leaders in the Brown entrepreneurial community and beyond. To learn more about the prize, click here. How far along does my venture need to be? Just an idea? Revenue? Already closed a seed investment from Marc Cuban? In truth, a venture doesn’t need to be that far along to be ready for B-Lab. A good idea is a great place to start, though we do prefer teams that have taken some thoughtful and concerted action on that idea (talked to prospective users, started building an MVP, etc.). It’s also great when a team has taken the time to think through what the roadmap to success might look like and how to get there (knowing, of course, that things can, and do, change quickly, when building a venture). I’m a RISD Student – am I eligible for B-Lab? Yes, most definitely! We regularly have RISD participants in B-Lab, and often on several B-Lab ventures. In fact, we believe that the Brown/RISD connection is a great source of entrepreneurial activity and innovation. Let’s keep it going! RISD applicants can submit their applications in UFunds as well. Click here to access the application questions. If you are having any technical issues, RISD students can email their application to “abigail_rubin@brown.edu”. Are international students eligible for B-Lab? Yes, of course! We just ask that interested applicants visit the Office of International Student and Scholar Services (OISSS) early in the spring semester to ensure that they have filled out all the necessary paperwork to stay in Providence over the summer. Do I need to be in Providence to do B-Lab? “Need?” What is this “need” of which you speak? You have the privilege, nay, the honor of staying in Providence during B-Lab! In all seriousness, we do require that ventures stay in Providence for the duration of B-Lab, largely because so much great learning and progress comes from teams working alongside one another. Being here also allows ventures to take advantage of all of the great programming and resources that B-Lab provides. What if I’m working on something deeply technical? Do you support ventures like mine? Yes, definitely, and we fully recognize that ventures require a wide variety of support, including those that are working on deeply technical problems, including technology originating at Brown. In fact, we work hard to provide as many technical resources as possible (including lab space, technical advisors, etc.) and work hard to tailor the program to the specific needs of each venture. Can I pursue other Brown-related activities while doing B-Lab? Our expectation is that B-Lab is your only major workday time commitment. As a serious entrepreneur, you’ll be putting significant energy into your venture. Other big distractions from that during normal work hours (UTRA’s, RA programs, summer courses, etc.) aren’t really compatible with your venture’s, and B-Lab’s, goals. That said, we want you to live a full and fun life in Providence in your free time. And we’ll help that along with great B-Lab social events! Can I apply to B-Lab more than once? Currently! If you previously applied but were not accepted into the final cohort, you can apply again. If you already have participated in B-Lab, consider applying to the Brown Venture Prize. How can I get involved with the B-Lab (if I am not a student or interested in applying)? 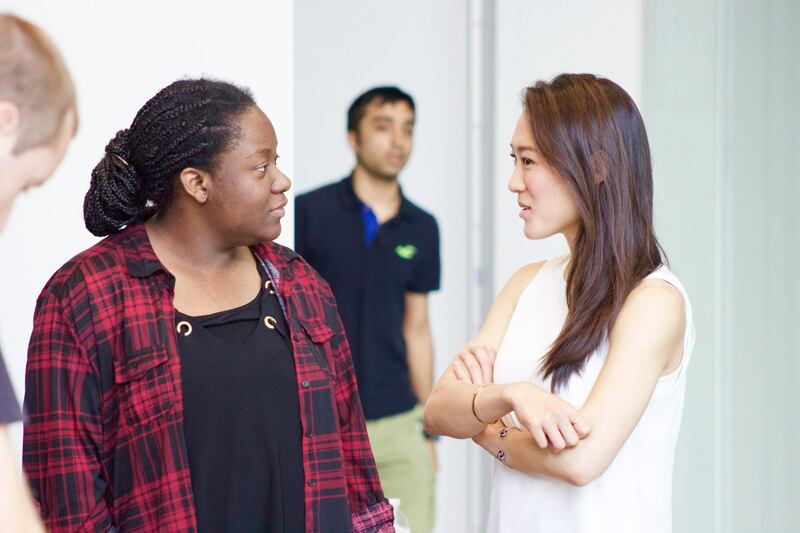 Are you an alumna or entrepreneur looking to give back your time to mentor? We are recruiting mentors for any student interested in applying to the B-Lab. Please fill out this short form by December 28, 2018 to sign up to potentially mentor a B-Lab applicant!